I have a confession to make today. I am addicted. Addicted to Nutella, that is. And maybe it’s time I quit eating it by the spoon, and put it to better use by making these Ooey Gooey Nutella Stuffed Chocolate Cookies. And once this jar of Nutella is used up, I must say a final good bye to Nutella, because it’s just too addictive. Lol. 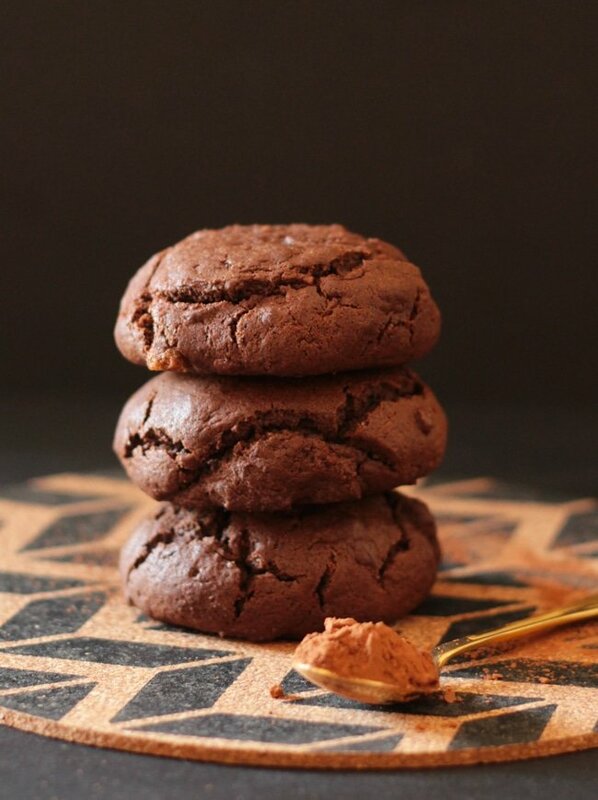 I love myself for making these Ooey Gooey Nutella Stuffed Chocolate Cookies, because these are just the best cookies I’ve ever eaten and the best way to say by to my dear, my lovely Nutella. Look, I love you…but we can’t be together anymore. It’s going to be hard, I’m going to miss you. But this relationship needs to end now. You’re too addictive. I don’t know how life will gone on without your chocolatey nutty goodness. You were there in spoonfuls of indulgence in times of sadness You were there in the form of Nutella stuffed pancakes in times of happiness. I love you, Nutella. But it’s time to put away the spoon, and close the lid. Goodbye, Nutella. Ahem. Clearly I’ve had too much Nutella. Look, you know it, and I know it. We’ve all been there. The Nutella madness. The sneaky spoonfuls here and there, the odd chocolate sandwich here or there. But the thing is, addiction to Nutella can get out of hand. One day you wake up, open the lid, and notice that all the Nutella is gone, and you lose it. You don’t want to live anymore. It’s over without the Nutella jar in your fridge. You then realize how out of hand this sinful addiction has gotten, and it needs to end. But of course you need to break up properly. Closure and all. 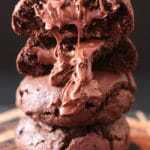 So you make these Ooey Gooey Nutella Stuffed Chocolate Cookies. This is the perfect way to end a beautiful, chocolate hazel-nutty relationship. Until, obviously the next time you go grocery shopping, and add a new jar of Nutella to the shopping cart. P.S. I adapted this recipe from the Queen of Baking, Tasbih who blogs at Cleobuttera. It’s one of my most favorite food blogs, and she has the most drool worthy recipes on there. Be sure to check it out! 1.) Use a tablespoon sized ice cream scoop to make the same sized Nutella scoops. Make sure you freeze these, because it’s then easier to place them on the cookie dough and wrap the cookie dough over the Nutella balls. 2.) Use room temperature eggs because they are easier to mix evenly into the rest of the ingredients. 3.) When making the batter, it’s important to use both types of sugar listed in the recipe card. Both play parts in making the cookies delicious. The brown sugar gives that chewy texture to the cookies. 4.) Do not over mix the batter. Stop mixing when you can see just a few streaks of flour. Over mixing of the batter will lead to tough cookies. And tough cookies have no business in our kitchens. Lol. 4.) Once you have filled the cookie dough with the frozen Nutella, freeze the cookie dough balls. This ensures that while baking the cookies won’t thin out like crazy. We want thick, fat chewy cookies, and for that we will have to be patient. Lol. 5.) These Ooey Gooey Nutella Stuffed Cookies can be frozen and you can take out one (or as many as you like) and bake them at any time. 6.) This is perhaps the most important tip. As with all cookies, do not over bake the cookies. The cookies should still be a bit undone when you take them out of the oven. When I initially started baking cookies, I would always end up with hard rock cookies because I over baked them. 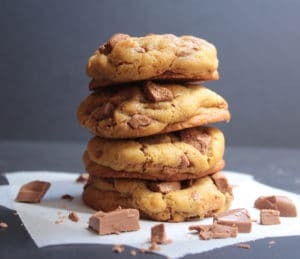 The trick with the perfect cookies is to under bake them, because they will continue cooking on the baking sheet from the residual heat of the oven. So if you’re a Nutella lover like me, I do hope you try out these cookies, because they are one of the best ways to celebrate the deliciousness that these Ooey Gooey Nutella Stuffed Chocolate Cookies are! 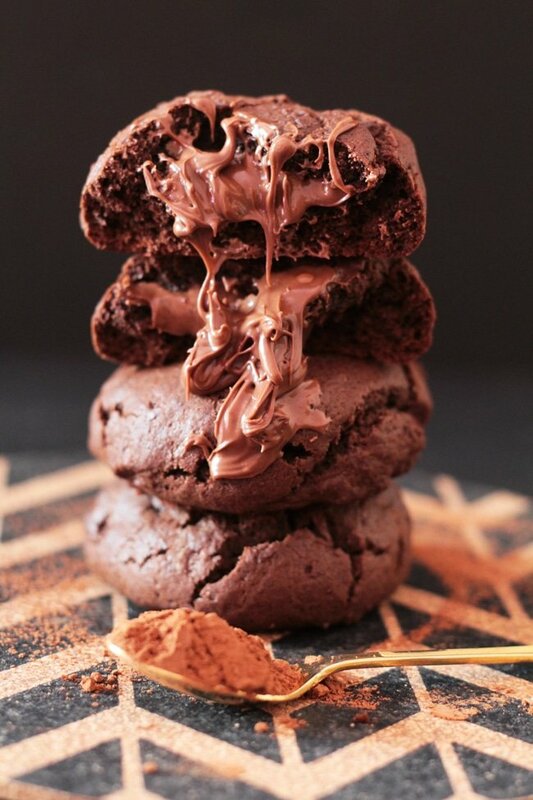 These Ooey Gooey Nutella Stuffed Chocolate Cookies are seriously to die for. Craving chocolate badly? Bored of regular cookies? These cookies are the answer to your cookie dreams. The cookies are soft and chewy, and then there's the meltingly delicious Nutella centre. Line a baking sheet with parchment paper. Using a round measuring tablespoon measuring, scoop out 16 rounded tablespoons of Nutella onto the prepared baking sheet. Freeze until solid, at least one hour or overnight. In a large bowl and using a hand mixer (you can also use a stand mixer), beat the butter on medium high speed until soft and slightly lightened in color, about 1-2 minutes, scraping down the sides as needed. Add both sugars and beat together until lightened in both color and texture, about 5 minutes. Mix in the egg, egg yolk and vanilla until well blended. On low speed, mix in the cocoa powder. Add the flour mixture and mix just until combined, leaving a few streaks of flour behind. Do not over mix. Using a 1/4 cup measure ice cream scoop, scoop out the dough onto the lined baking sheet, forming 16 equal dough balls. Using your thumb or the back of a spoon, make deep holes into the dough. Get the Nutella scoops out of the freezer and working quickly, peel the Nutella scoops from the baking sheet and place them in the middle of the dough holes. If you're working in a warm kitchen, you might want to keep them in the freezer, taking only one by one as you work, to avoid them melting. Gather the dough up over the Nutella scoops to completely cover them. Roll the dough into balls and place on the baking sheet. Loosely cover with plastic wrap and freeze for at least 2 hours, then either bake immediately (from frozen) or transfer to a large zipper lock bag and freeze until needed, overnight or up to 1 month. Preheat oven to 350F/180C and adjust oven rack to middle position. Line 2 baking sheets with parchment paper. Place 8 cookie balls per sheet, spacing them at least 2 inches apart. Bake until the cookies flatten with a slight dome, no longer have a hump in the middle, and the outer edges start to harden yet centers are soft and puffy, 11 to 14 minutes. Start checking at 11 minutes. The centers will feel undone, but they shouldn't be shiny or sticky. The cookies will continue to bake after they come out of the oven from the residual heat. Let the cookies cool on the baking sheet for at least 15 minutes before serving. Or cool completely then store in an airtight container. Wajeeha I’m speechless! 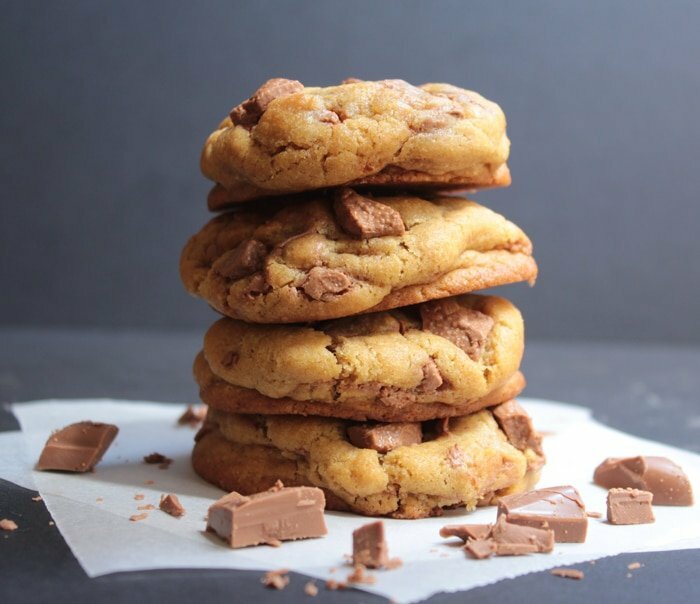 Oh my goodness I feel so honored that my Nutella cookies managed to make an appearance on your blog! Thank you so much for the reference and for all your kind words…I’m deeply humbled. These cookies are everything that’s right in the world! I LOVE Nutella! Wow Juliana! I’m so happy the recipe turned out great for you…these really are addictive 😀 Thank you so much for letting me know how they turned out! I know I have already commented on this, but it’s not my fault that these are just the best cookies ever!! Wow, these look amazing!! 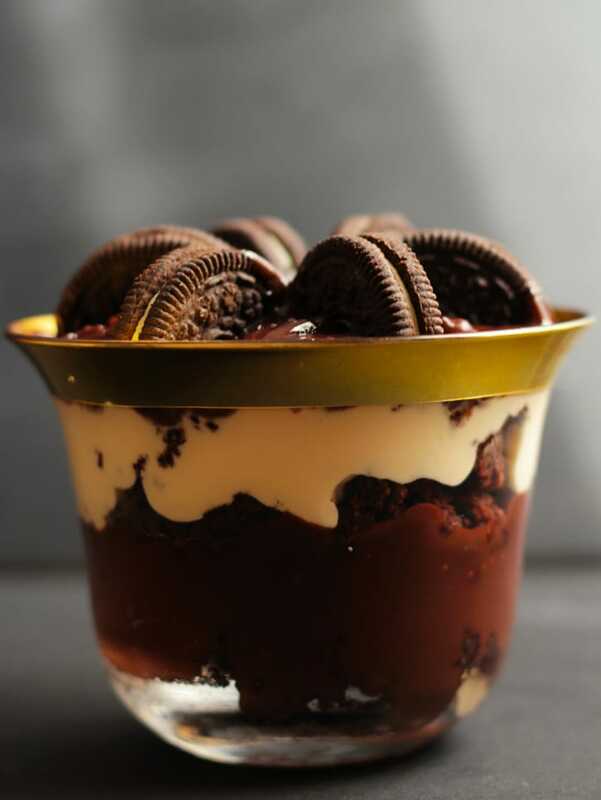 Love all that ooey gooeyness! Oh my gosh, I have all these ingredients in my kitchen right now. Yay! I want these cookies and a glass of milk right now! These cookies look totally yummy. I love that you stuffed them with nutella. These cookies are outrageous!! I thought I had used too much nutella but “What?” TOO MUCH NUTELLA?? ?Best ooey gooey cookies EVER! And I especially like that you can freeze them, then bake as needed. Wow! So glad you liked them Patricia…my family is totally in love with these cookies too! 🙂 Thanks for the feedback! Tks in advance for any tips..
Hi, I’d like to try baking these cookies, but the ingredient list and directions are gone. Is it possible to post them or sent them to me by e-mail? Hi Sam! I’m so sorry for the inconvenience, there was a technical error which made the recipe card disappear. I’ve fixed it now. Thanks for letting me know! Hopes this helps! Please help, where’s the actual recipe? Hi Eral! I’m so sorry for the inconvenience, there was a technical error which made the recipe card disappear. I’ve fixed it now. Thanks for letting me know! Thank you for sharing the recipe, Wajeeha and the heads up for Cleobuttera’s blog. Sadly, I wasn’t able to freeze the cookies for the full length after assembling for the two hours and they ended up spreading like crazy. They were still super tasty and you might want to change the total time on the cookies so other bakers know at the top of the recipe they need to save enough time for freezing, prepping, baking and cooling. The dough was way too soft…what did I do wrong? Still tasted great and I’m baking these again soon. Hi Mel! Did you freeze the cookie balls before baking them? That may have been the issue. Hope this helps!